In Google search results, you may have seen many company or blog coming on top of the result. Whenever you search for any keywords on Google, you will see lots of option. Many companies try various things to come on top of Google Result but they fail. Let me remind you that, Google ranking is basically dependable on Google Algorithm Process. 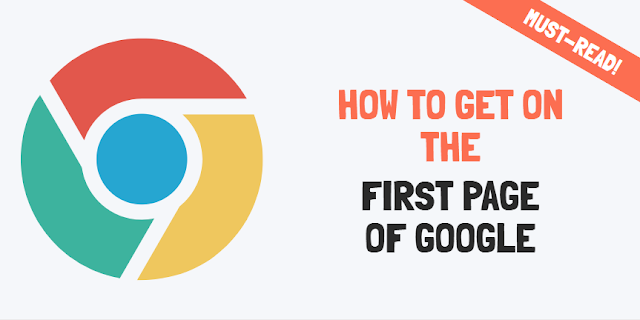 So, if you also want to get on the first page of Google then this post is a must-read for you, as I am sharing few best tips to Get On Top of Google result. Google has recently made some changes to its algorithm process. Under this, Google shows the same news, website or blogs at the top which has been the most read or searched. So, the number of readers or share a news or blog gets the higher it will get ranked in the search. As mentioned above, Google will rank those at the top which has been searched most. In the same way, the ranking of your website or blog depends on the amount of click it gets from the search results. That is, the more clicks your content received, the more will be your ranking in search result. Under the new changes, if your website bounce rate is high then your ranking will get dropped in the search result. Having a higher bounce rate means, the readers are not happy with the information or content of your website. This reduces the chance of getting on top of Google search result. By which source a user visits your website, also matters in the ranking. If users reach your blog or website from social media, Direct or Google search then your ranking will increase.